When Should You Consider Having Your Tonsils Removed? Children are the most common candidates to receive treatment for tonsillitis, but adults can also suffer from inflamed tonsils. There are many times when both children and adults will experience the condition commonly known as a sore throat, which is characterized by swallowing difficulties, and a painful sensation in the throat itself. This is often due to a cold or some other virus, but there’s also a possibility that you may be experiencing tonsillitis. Tonsils can become infected by pre-existing viruses or bacteria, and when that happens, they generally become enlarged and cause you to feel a sore throat, possibly a fever, and most likely some difficulty with swallowing. When you have at least five episodes of tonsillitis annually, this is considered a chronic condition. If tonsils become enlarged for any reason, they can block the airway whenever you’re reclining or trying to go to sleep. This can bring on the condition known as sleep apnea, which can be a dangerous thing all on its own – someone with sleep apnea may experience as many as 50 stoppages of breathing during the course of a night. In some rare cases, it’s even possible for tonsils to become cancerous, and in that kind of situation, surgery is definitely indicated to remove the tonsils. However, there may be other times as well when removal of your tonsils can be a beneficial thing, as the discussion below will bear out. There are two primary reasons why you should consider a tonsillectomy. The first of these is that you have chronic sleep apnea which significantly disrupts your sleep. The other warning sign which may indicate a tonsillectomy is that you’re experiencing recurrent tonsillitis, triggered by strep throat for instance, or some other kind of infection. There are less common triggers for removal of your tonsils as well, those being the presence of abscesses or tumors. Tonsillectomy is indicated far more often in youngsters than in adults, simply because children generally have less robust immune systems than adults, and they are less well-equipped to fight off viruses and infections. Historically, removal of the tonsils has led to significantly reduced occurrences of infection for those people who have a chronic history of tonsillitis. Since tonsils don’t provide any really critical function to the body, there are no long-term ill effects which accrue to someone who has them removed, and the recovery time associated with having a tonsillectomy performed is relatively low. As mentioned previously, the primary symptoms of tonsillitis include a painful sore throat, usually on one side or the other. Although this won’t be externally visible, the tonsils also appear to be inflamed and may secrete pus. Someone bothered by tonsillitis may also have difficulty with swallowing, bleeding spots on the tonsils, a runny nose or stuffy nose, a high fever, and swollen lymph nodes in the neck. When tonsillitis becomes chronic, you may experience seven or more infections in the same year, or at least five infections per year in back-to-back years, or at least three infections annually for a period of three years. This is the medical definition of chronic infection for tonsillitis, but if it seems to you that you’re constantly dealing with the effects of inflamed tonsils, you won’t need to compare your condition to the detailed medical definition. Both children and adults will experience the same indications for tonsillitis, but adults are far less prone to the condition because as people grow older, tonsils will generally shrink in size, and become much less susceptible to infection. Adults can experience inflamed tonsils as a result of a throat infection. Recovery times associated with adult tonsil surgery are shorter thanks to a more robust immune response when compared to pediatric cases. One of the most common harmful effects of tonsillitis is that it can trigger sleep apnea, which in turn causes abnormal breathing during rest periods. Children are particularly affected by this, and when they are bothered by sleep apnea, it is generally be manifested as hyperactivity during the waking hours of the day. Some symptoms which are not quite so apparent are when a strain on the heart or lungs develops. There can also be a hormonal disruption in children, which can promote obesity. While these conditions may be difficult to diagnose on their own, when tonsillitis is suspected and sleep apnea is involved, it’s much easier to associate any other symptoms with their true cause. 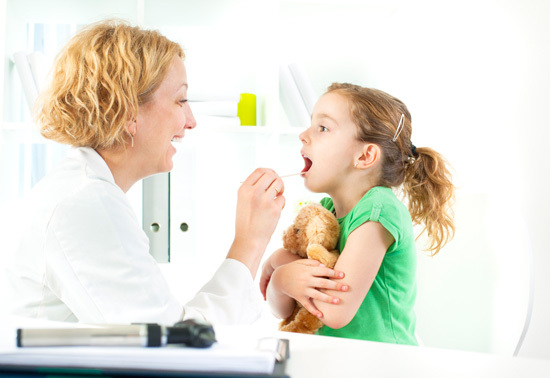 How Do Adults and Children Benefit from Tonsillectomy? Children benefit more frequently from having their tonsils removed than do adults, primarily because children are afflicted more often than older people are by tonsillitis. That means there are more cases of sleep apnea and chronic tonsillitis in young people than there are in adults. Children can definitely benefit by having their tonsils removed when either chronic tonsillitis is involved, or when the condition has led to sleep apnea. However, adults may also benefit from tonsillectomies under certain conditions. If an adult should be troubled by sleep apnea, or by the same chronic sore throats that a youngster might, there is a definite possibility that they would enjoy improved sleep and a better quality of life by having their tonsils removed. Of course, it should be remembered that, as with any other kind of surgery, there are certain risks involved with having your tonsils removed. When surgery becomes a possibility, you should discuss the situation thoroughly with your family doctor, and then consider the risks versus the rewards to be obtained by tonsillectomy. Scientists take a step into the future of cochlear implantation. Sometimes, hearing loss occurs because of damage to the tiny hair cells within the inner ear. 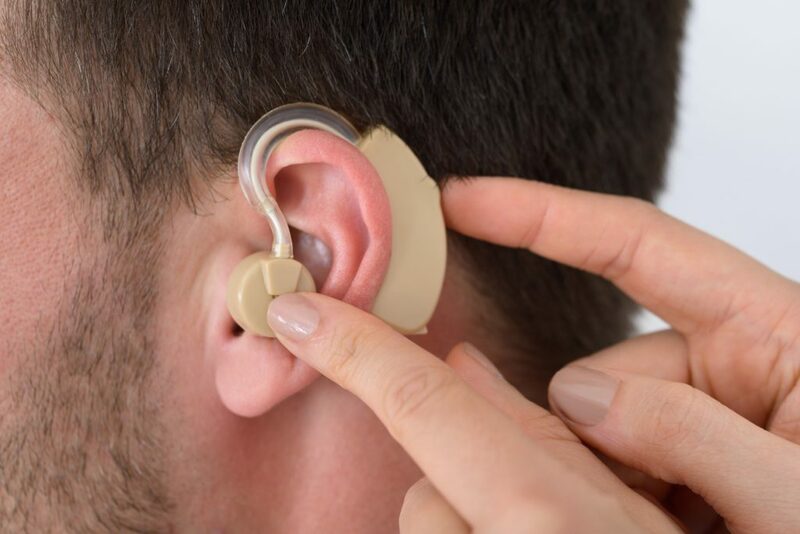 Using a cochlear implant device allows deaf patients to bypass the effects of inner ear damage, giving them the ability to hear some form of sound. A cochlear implantation requires drilling a hole behind the ear, through the skull bone, and to the inner ear. Researchers may have found another way to perform this procedure. During a cochlear implantation, the hole is drilled to allow the device access to the inner ear. To improve the drilling procedure, scientists at the University of Bern turned to robotics. They developed a high-precision surgical robot to create the entryway for the cochlear device. Their hope is that it provides better hearing outcomes. The surgical robot would make the hole about 2.5mm in diameter. In order to perform a task of such magnitude, the robot has the do the surgery by itself and without any hands-on interaction or visual from a surgeon. This obviously presents concerns. Surgeons need to be able to track the drill’s progress to make sure in is on track and just in case there is an error. The researchers built the robot with interlocking safety components. This allows the drill to avoid damaging key areas like the nerves and inner ears. This may be the next major development in cochlear implantation. It has proven effective for one patient and hopefully, it will prove helpful for future patients. In a journal for ear, nose, and throat doctors, new guidelines are about to be published for performing tonsillectomies on minors. The guidelines will include recommendations on how to care for patients in pre-op, intra-op, and post-op situations, and also include research on the complications that arise when different doctors approach this same surgery in different ways. This is one of the most frequently performed surgeries in the United States – in fact, over 500,000 are performed each year, and that’s just among children aged 15 or younger. What is a tonsillectomy? By definition it involves the removal of the entire tonsil (capsule included), by means of the separation of the tonsil from the muscular wall – this area is known as the peritonsillar space. In some cases the tonsillectomy will include an adenoidectomy – this is more common when the reason for the surgery is a problem with breathing during sleep. These published guidelines are going to be very important resource for the doctors who perform approximately 530,000 of these surgeries each year. It is hoped this will result in an easier process for surgeons, allowing them to make wise decisions which will render favorable surgical outcomes for the many children afflicted by tonsil problems. One of the main things the guidelines will accomplish is to make it easier for practitioners to better determine when a tonsillectomy is the best way to proceed. They are also intended to help healthcare staff to manage the care of children undergoing a tonsillectomy more effectively. The guidelines also encourage proper counseling for families of children undergoing such medical procedures, as they can be frightening especially for very young children. It will also cut back on the discrepancies between different practitioners who are treating patients with similar problems. It will also provide caregivers with alternative treatments for situations that do not require surgery.